Great three bedroom, two bath stepless entry Ranch in Tioga Terrace and Vestal School District is ready for you! Gleaming hardwood floors, first floor family room, new Pella windows and new siding. Home also has a newer roof, partially finished lower level, and large rear deck plus level yard, perfect for entertaining, playing, or relaxing. Tioga Hills Elementary School Elementary School / Public 6 0.44 mi. Vestal Middle School Middle School / Public 7 6.22 mi. Vestal Senior High School High School / Public 8 4.75 mi. Apalachin Elementary School * Pre-School, Elementary School / Public 5 2.03 mi. Ross Corners Christian Academy * Pre-School, Elementary School, Middle School, High School / Private N/A 1.98 mi. Thomas J Watson Sr Elementary School * Elementary School / Public 4 1.71 mi. 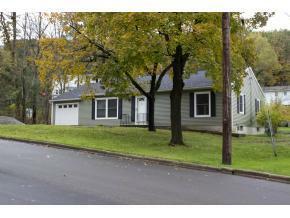 17 Highland Drive, Apalachin, NY 13732 is a 3 bedroom, 2 bath single family home was sold for $136,000.